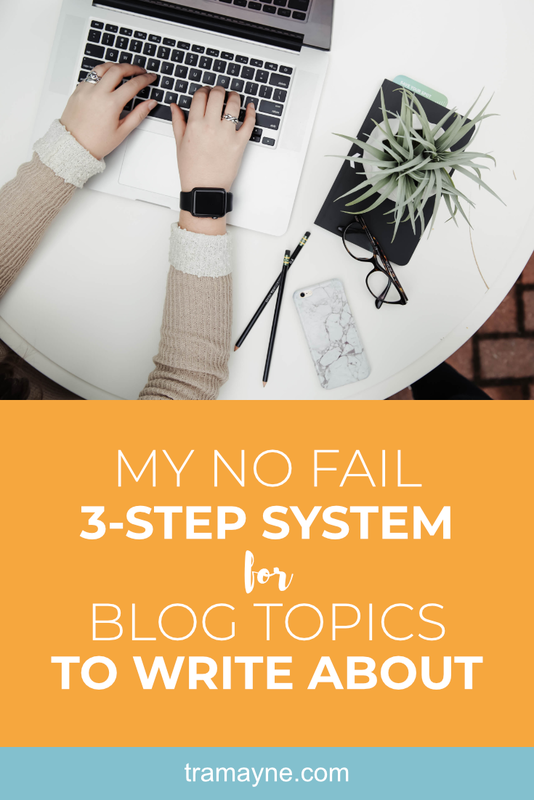 My no fail 3-step system for blog topics to write about - Selena Tramayne, Ph.D. Here are the steps I take to make finding blog ideas easier. 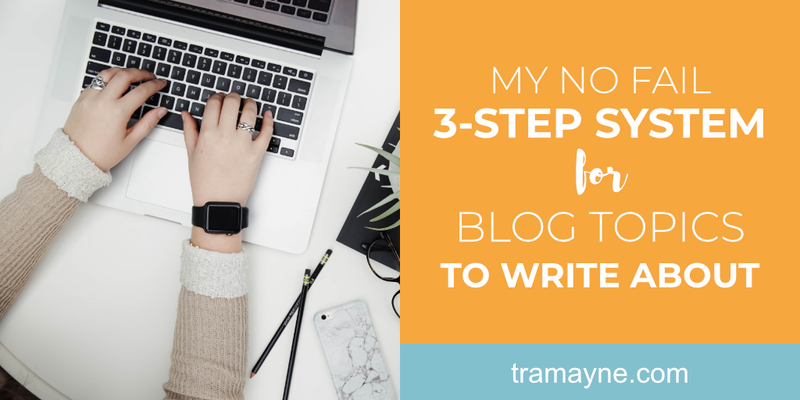 I hope you find some nuggets in here to use with your own blog writing. In my last post, I shared with you how I use Evernote to collect articles for learning. I use these same articles to help me come up with ideas for blog posts and email newsletter topics. Within each of these categories, I have notebooks that include all the potential topics I could write about. 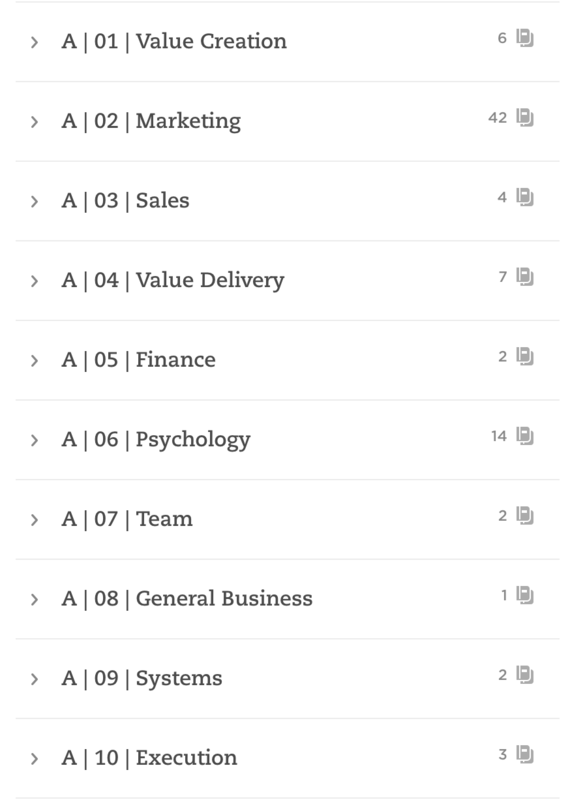 For example, within the 'Value Creation' stack, I have notebooks for Avatars, Brand, Business Model, etc. And each already contain a bunch of articles that I've collected over time. They're there for me to use at any time. 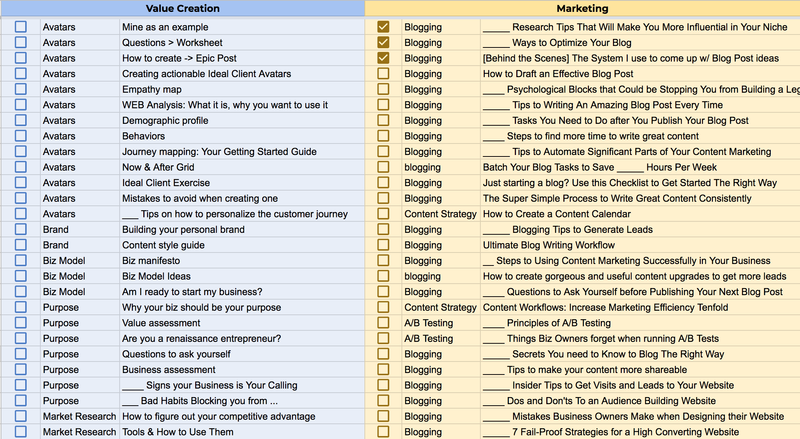 I created a spreadsheet that matches up with the categories and topics I have in Evernote. 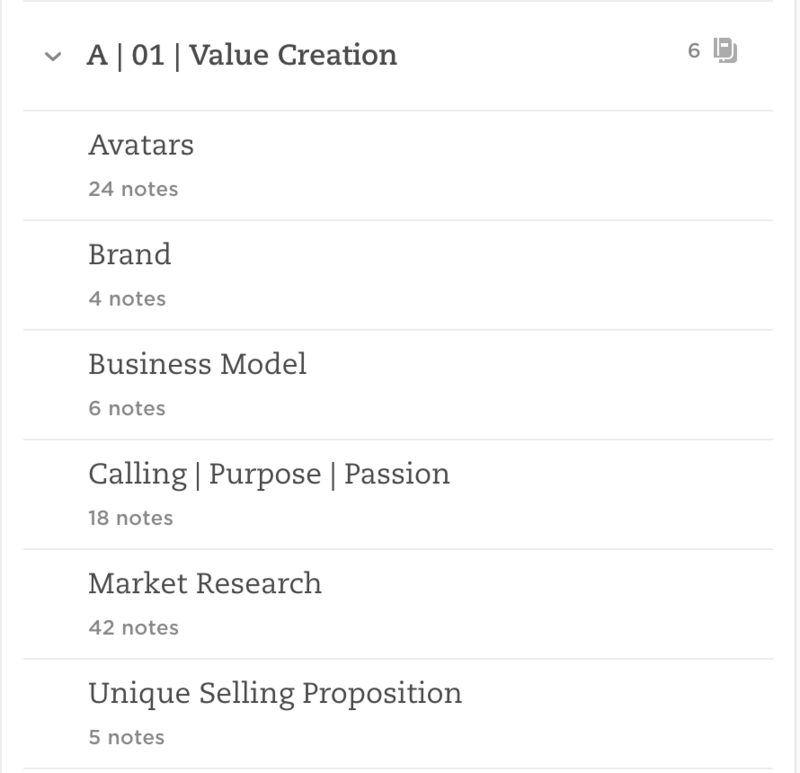 As an example, 'Value Creation' matches my 'Value Creation' Evernote stack and 'Avatars' matches the 'Avatars' notebook. Once you've create the framework you're ready for the next, and most important step. In this step, I read the headlines (and subheads) of the articles in each of the notebooks. Not to copy, but to get my own ideas going. For example, one of the articles in my notebooks has the headline "5 Big Mistakes to Avoid When Creating an Ideal Client Profile." This gave me the idea for "_____ Big Mistakes to Avoid When Creating a Client Onboarding System." You'll notice that my topic has nothing to do with the original topic. That is completely okay. And what you want. You're going for ideas at this point. In less than an hour, I end up with hundreds of topic ideas. Once I have it all in the spreadsheet, then I put a checkmark next to the ones I want to write about that quarter. I then take those and put them in a list of their own and rank them by what I want to publish first, second, third, etc. Then, I put them in my editorial calendar. Previous Post The learning workflow I use to save my sanity Next Post Do you know these 6 tips to make your blog writing easier?